KNOWN FOR: St. Augustine’s fastest growing law firm. Do you have a particular client that has inspired you? Representing other attorneys. Undertaking the representation of a peer is naturally motivating and I have been honored with representing other attorneys and their family members on many occasions. Winning cases for clients that deserve to win. Whether the client is an underdog about to lose their home or a large client that has been defrauded, winning can truly feel like an accomplishment. What makes you stand out as a law firm? We are beginning the construction of a new building that will accommodate 16 attorneys plus support staff, which will likely make us the largest law firm in St. Augustine. What’s your secret sauce or superpower? Living a God first life and help from my wife, Araan Burnett. It’s the people that work behind the scenes that give us superpower! What do you do to stay on the cutting edge of your field? 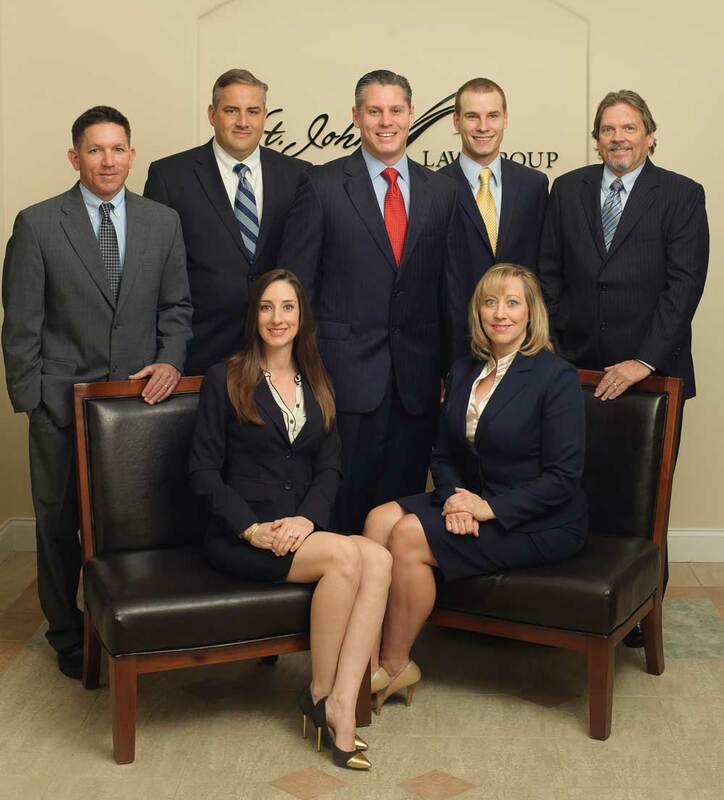 St. Johns Law Group currently has seven lawyers – each of whom focuses on a specific area of the law. Rather than follow the traditional model of a general practice law firm, our attorneys stay up on the most current laws impacting their specific area of practice, whether it be real estate, civil litigation, business, probate, family law, etc. What impact do you hope to make on your community? 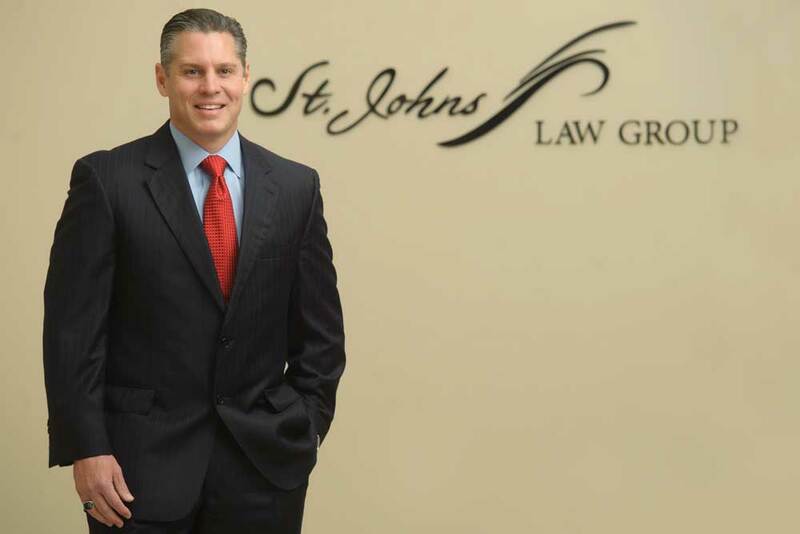 My goal is to establish St. Johns Law Group as one of the largest law firms in St. Johns County and be known as a pillar of professionalism. Using this foundation, I actively encourage each attorney to engage in efforts where they can become passionately involved in supporting community organizations and events. In support, the law firm contributes to their pursuits monetarily or by volunteering service hours. Why should our readers go to your office over any other? Each of our attorneys focuses on a unique area of the law. For example, we have an attorney who focuses on litigation, one who focuses on real estate, one who focuses on family law, etc. The narrower an attorney concentrates their practice, the more knowledgeable they become on that subject. We put clients with the right attorney for their issue, giving them the power that comes with concentrated experience. There are a lot of attorneys in town, how do you stand out from the competition? The clients whose business and trust we have earned, including, for example, government entities, national home builders, telecommunications companies, a mining syndicate, an international manufacturing company, and nationwide assisted living facility and shopping center developers, makes us standout. This enables us to draw upon complex experiences to more efficiently handle routine matters.